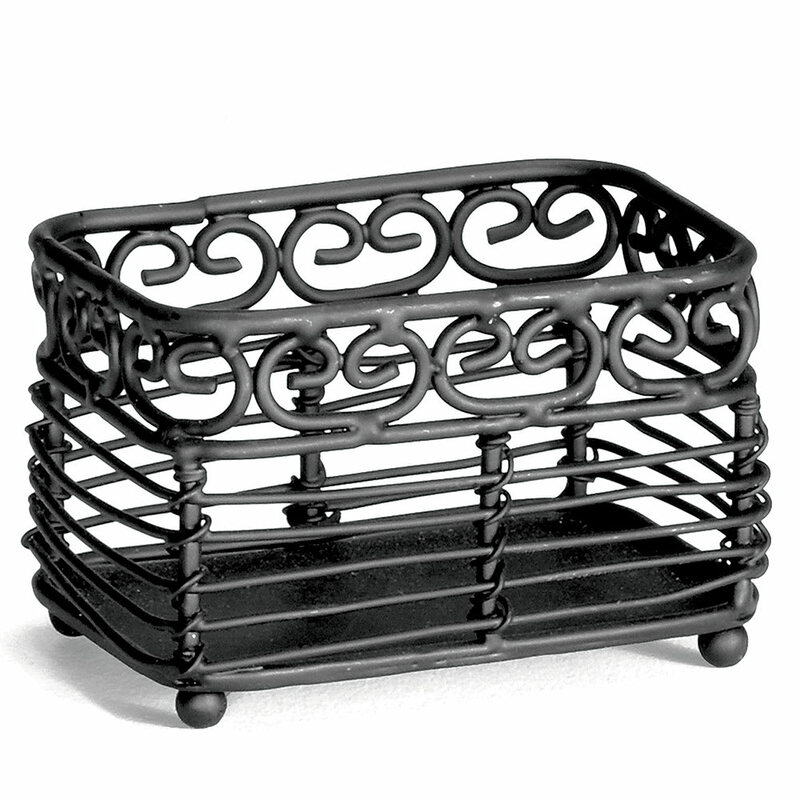 This rectangular Mediterranean sugar packet holder from Tablecraft is a practical accessory for your table. 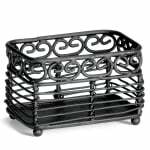 Featuring a black powder coated construction with fancy swirl design, this holder will elegantly hold sugar packets within its 3" x 2-1/2" x 2" size rectangular frame. This sugar caddy should be hand washed. 3" x 2-1/2" x 2"